At Gibsons Farm Shop we are not just about delicious foods. We are also passionate about offering some of the finest gifts, made in the county of Kent. From Hampers to candles, to locally made gift cards we have the perfect gifts for any occasion. The Romney Sheep have been in the family for at least six generations, possibly more. Our current numbers are 1,000 ewes lambing in the traditional season of March and April. Our British wool is considered to be one of the most adaptable fleeces it is cream, semi-lustrous and thanks to its versatility is a popular choice for knitting wool, knitting yarn, and cloth. 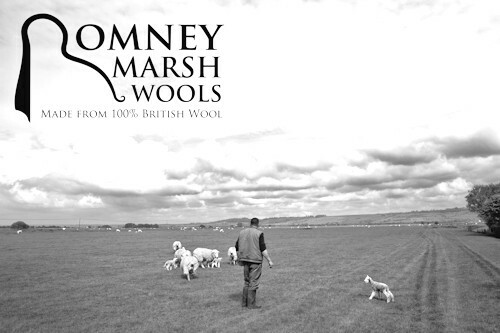 We take our fleeces to traditional weavers who hand process, then spin and weave our yarn into beautiful wool rugs and wool throws, which have a unique quality attributable to the Romney sheep wool. With some of our cream wool we have mixed other naturally coloured native yarn to allow for varied design, colour and texture. The Romney or the Kent sheep is a "longwool" sheep and was recognised as a breed in England by 1800. Today wool represents only 3% of the World's fibre production, however it is becoming a more popular choice, as it is a renewable resource and a natural product. Gatehouse Candles has evolved from a love of candles and different fragrances. Whatever the weather it is always relaxing, heart-warming and pleasant to see and smell the aroma created by candles in a room. We have always found that different fragrances can be used depending on your mood, or just purely to give a sense of relaxation. A chance meeting in 1953 with an artist specialising in local scenes, led 23 year-old Noel Tatt to invest in a small printing press housed in a rented attic space in Folkestone, Kent. Over 60 years later, the business is still family run and thriving in rural premises on the outskirts of the beautiful cathedral city of Canterbury. We are an ethical, family friendly business, based on the principles of loyalty, honesty and integrity. We are committed to the highest levels of innovation, product quality and customer service – winning awards at ‘The Henries’, our annual industry awards, for the last five consecutive years. We are proud to have donated well in excess of £1million to ‘Help’, RSPCA and Help for Heroes since 2001, through respective licensing programmes.